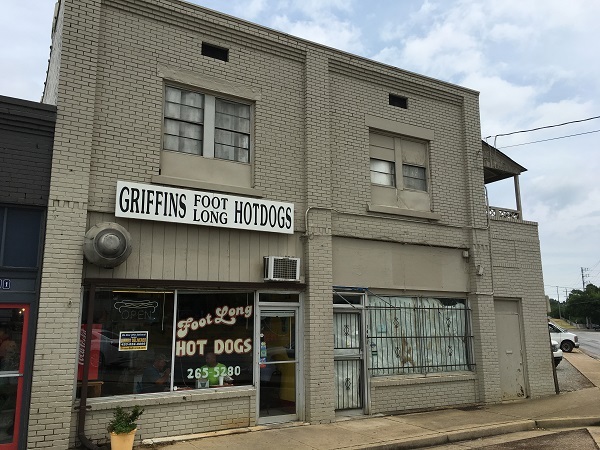 Griffin’s Foot Long Hotdogs, Chattanooga TN – Marie, Let's Eat! The business has changed hands many times over the last seventy-plus years, but today’s owners keep the original recipes intact and have a loyal lunchtime crowd, including, several times this summer, my very impressed son. The sad reality was that I started to miss Brandi’s World Famous Hot Dogs several weeks before we actually moved. 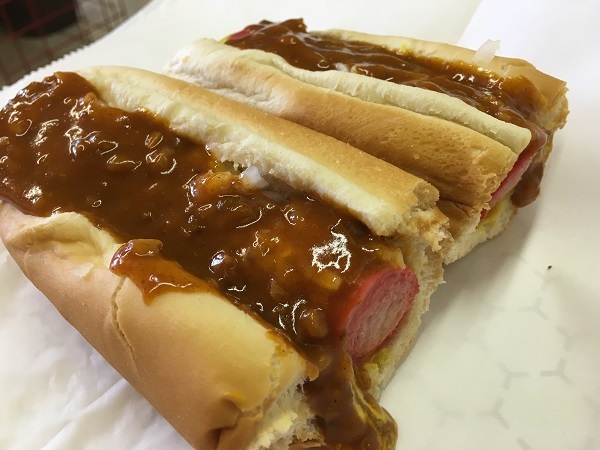 I didn’t know whether Chattanooga had anything quite like it, a simple greasy spoon getaway that specialized in good chili dogs at reasonable prices. Then one day in April, we came to town for Marie to have a job interview, and the road took us right by a place that looked a whole lot like the sort of place I was looking for. It had been waiting patiently for a heck of a long time. Griffin’s – known among their many, many fans as “Miss Griffin’s” – opened in 1939. It’s among the oldest surviving restaurants in town, and it’s located about two hundred feet from it’s original location, too! So as my work-from-home job wrapped up, I began settling in for a few weeks of being a stay-at-home dad before the kids started school. This has meant some opportunities to go out and explore, and every once in a while, track down a hot dog for our five year-old son. Naturally, Griffin’s made its way to the top of my to-do list. It’s maybe fifteen minutes or so from our house, perhaps not quite as close as Brandi’s was to the old place but a perfectly acceptable little drive. One thing was certain, though: we needed to get there when they opened, because there is not very much parking – there is a small gravel lot behind the building – and I had a good idea this was the sort of place that gets really busy during the lunch rush. Boy, was I ever right. The Griffin family sold the business in the 1970s, but each of the subsequent owners have remained true to Miss Griffin’s secret recipe for relish. 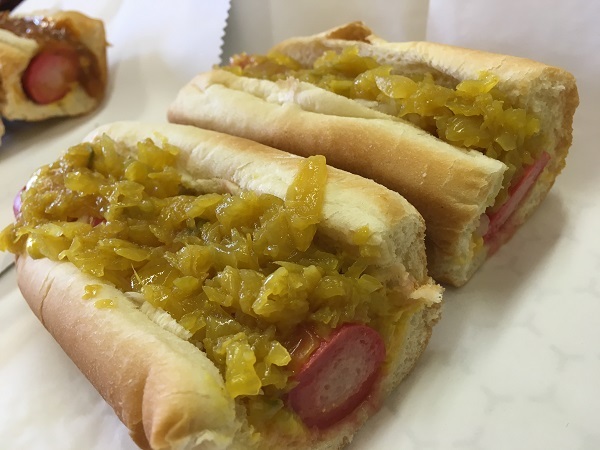 This is a little unlike many or most southern hot dog places that we’ve visited in that the special of the house doesn’t include either chili or, like the ones around Birmingham, a special paprika-and-cinnamon red sauce. No, the standard Miss Griffin comes with her special relish along with mustard, onions, and a vinegary hot sauce. It’s very good, the sort of dog that instantly made my son and I regulars for our five weeks of summer together. They do have chili, slaw, kraut, bacon, and most other things that people will enjoy on their dogs, and the chili is certainly good, but the standard is just fine by me. These days, Tom Hyde owns the restaurant and his brother Jason manages it. They bought it in 2008 after the previous owner stumbled in his franchising and expansion plans. There was, for a couple of years, a satellite store on Frazier in the spot that currently houses the original location of Taconooga. I’m not sure about any others during that time, but the Hydes have a very good crowd at the one-and-only store that they run, and I imagine that you might find me here as well, once every few weeks. I’ll sometimes have my son in tow. He actually does not enjoy either relish, mustard, onions, or hot sauce yet, but he likes hot dogs even more than most kids and deserves a nice treat every now and then. 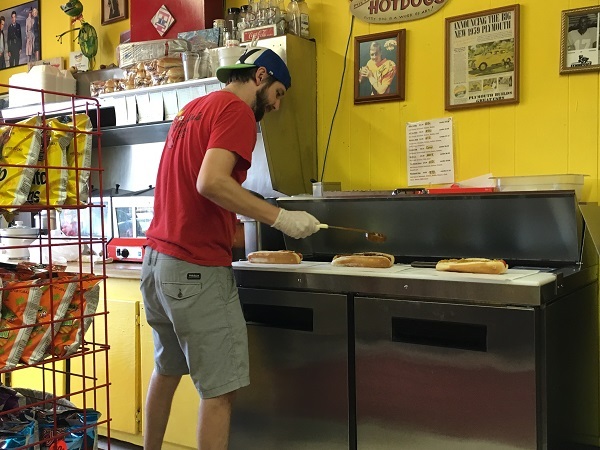 Posted on September 4, 2016 by Grant G.Posted in chattanooga, hot dogs, tennesseeTagged chattanooga, hot dogs, tennessee. Oh goody. Now you have flung a hot dog craving all over me! Love Miss Griffin’s! This and Zarzour’s are my favorite places for a quick cheap bite around here but yes, parking can be a headache if you try to come at noon. We like Zarzour’s a lot, too! Heck, it’s been too long since I’ve visited. Thank you for the reminder! I agree! This place is a Chattanooga classic. I’m glad that you enjoy it.